Built in the 1800s, Rhu Cottage was originally a cooperage providing barrels for the Plockton fishing trade. Later in that century, an upper floor was added making it a typical ‘one and a half storey’ traditional Highland cottage. Now refurbished, it still retains its original character, providing a cosy relaxing village retreat, with free wifi, away from bustle and hubbub. 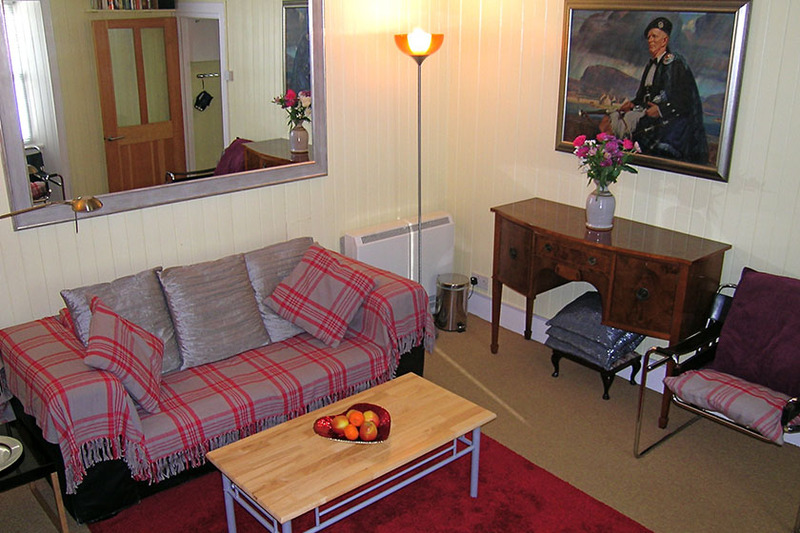 The Lounge, Kitchen/Diner and the windows in both Bedrooms all face the beautiful sea loch that is Loch Carron. Whether sitting outside – or in the porch with a cup of tea or a glass of wine in inclement weather – you are assured of magnificent views across the garden and open grassland to Plockton Bay, Duncraig Castle and the Plockton Crags. Plockton Village, known as ‘The Jewel of the Highlands’, is the perfect base to stay, being ideal for walking, hill climbing, photography, boating and water-sports or just quietly watching the wildlife. As owners and Plockton residents, we live in the adjacent newly built extension. Kate runs the Post Office and provides Tourist Information. 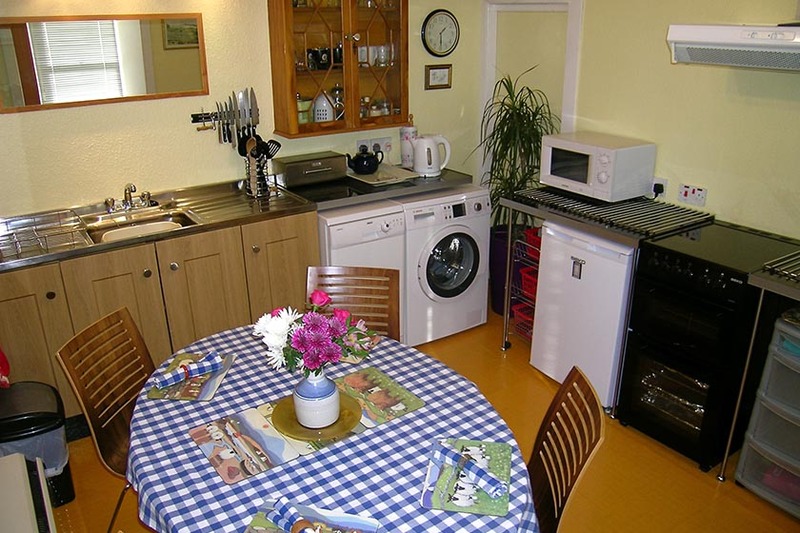 You can, therefore, be assured that we are right on hand, ready and able to make your stay both stress-free and relaxing at Rhu Cottage, Plockton. Earliest arrival 4.30 pm – Latest departure time 10.30 am. For more details please see our website www.plocktonholidays.scot. For availability, please see ‘Plockton Rhu Cottage’ on the TripAdvisor calendar.